This list of hamster facts is designed to give as clear an explanation as to the character and nature of hamsters. Hamsters are some of the cutest and best pets that you could possibly have. If you are looking for some fun and interesting facts about hamsters to help with a student homework project or maybe just really interested in them, then here are 50 fun facts about hamsters just to get you started. 1. Hamsters come from various parts of Asia including Siberia, the north of China, the Middle East and Asia Minor. 2. When they live in the wild, they enjoy warm and sparse areas like deserts which are very dry have little water, plant and tree life. 3. Did you know that there are twenty five species of hamster that exist today? 4. Did you know that are only five species of hamster that can be kept as pets? These are the Syrian hamster, the Chinese Dwarf hamster, the Dwarf Campbell Russian hamster, the Dwarf Winter White Russian hamster and the Roborovski Dwarf hamster. 5. 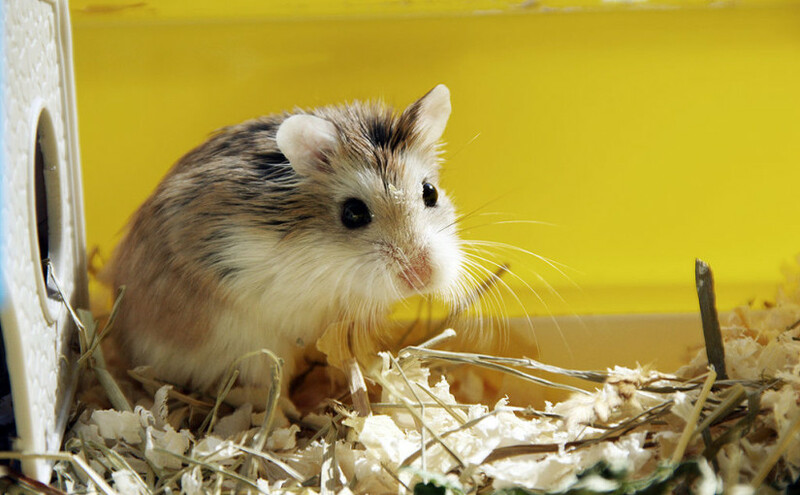 Syrian hamsters are the most popular type of hamster to be kept as pets. They are also called teddy bear or golden hamsters. 6. Hamsters are not difficult to care for and so do not need a lot of attention from their owners during the day time like other pets such as dogs do. 7. You can tell when a hamster is happy if they are running around a lot and active within their cage. 8. As hamsters love to run around, they either need lots of space to run within a cage or have a running wheel provided. This consequently helps them exercise. 9. Hamsters need to drink water to stop getting thirsty, however they also get water from the food that they eat. 10. Hamsters are rodents, which means that they are close cousins to other rodents such as guinea pigs, mice, rats, and gerbils. 11. They are omnivores which means that they really enjoy eating seeds, vegetables, plants and even some insects. 12. Hamsters have different types of personality depending on the variety of hamster. 13. Syrian hamsters much prefer living alone and can’t live with any other hamsters other than with their own brothers or sisters. 14. They are very good at digging and will build burrows underground to create their homes. 15. Hamster burrows are made up of many different tunnels and rooms called chambers which they dig themselves. Therefore they have different areas to eat and to sleep in like we do. 16. The word hamster is an old German word which translates as ‘to hoard’ because hamsters love to hoard and store their food. They do this in a very unique way by storing them either in their homes or in their cheeks. 17. Did you know that hamsters have large cheeks that they use to carry food? A full cheek pouch of food can make their head’s much larger in size. 18. They can actually store their own body weight in food in their cheek pouches if they need to. 19. A mother hamster can also store her newborn children in her cheek pouch to carry them to another place or if they are in danger, if she needs to. 20. Hamsters are very fragile creatures and must be picked up and carried carefully. Their bones are not as strong as ours are. 21. They only live for a short amount of time, mostly between two to three years. 22. Did you know that hamsters have teeth that are always growing? They always need to be chewing food so they can grind their teeth down. 23. They can also chew on wood or twigs to grind their teeth. 24. Hamsters have 16 teeth altogether. 25. Hamsters are nocturnal animals. As a consequence, this means they sleep mostly during the day and are awake mostly at night. 26. They were first brought to the United States from Syria in 1936. 27. Did you know that they are very good at cleaning themselves? They lick their paws and then brush them against the dirty patch of their body to clean it. 28. Hamsters have the ability to protect themselves if needed and therefore they can bite hard if they are provoked. 29. They do not see very well and are near-sighted which means that they can’t focus on far away objects. 30. Did you know that hamsters are actually colorblind? This means that they can’t see colors like they are. 31. Hamsters have a very interesting way of helping them to find their way around. They have scent glands on their backs that produce a scent that is unique to them. They then rub their scent onto an object so they can find their way home when they return from a trip. 34. Did you know that baby hamsters are called pups? 35. Pups are born with a full set of teeth which they keep for their whole lives. 36. Hamsters like to have lots of material in their cage to dig into as they love to burrow into it. 37. They need a good quality cage to live in that won’t allow to escape but will give them a good space to exercise. 38. Hamsters always need access to water so they can drink. A water bottle attached to their cage is a great way to ensure a pet hamster gets the water they need. 39. Did you know that hamsters have many different colors, including grey, black, brown, yellow, red, white or a mixture of those colors. 40. When young hamsters are born, they are born without hearing and sight until they are two weeks old. 41. Hamsters have 4 front toes and 5 rear toes. 42. Female hamsters usually give birth to around eight children. 43. Did you know that hamsters are prey animals? This means that they are always looking out for animals such as birds and snakes in the wild who look to eat them. 44. Hamsters are fast runners for their size. They can run up to 4 miles per hour. 45. Their front two feet are used to hold food and to dig. 46. Their back two feet are larger than their front feet, they therefore help them to balance when they stand up on two feet. 47. Did you know that hamsters can run backwards as well as forwards? 48. They use the nails on their paws to help them grip objects like food. 49. They have soft pads on their feet to help them run smoothly on hard objects like rocks. We hope you have enjoyed our Fun facts about hamsters for kids. What was your favorite?